A Megaupload developer indicted with online piracy-related crimes by Washington has been arrested in the US. Previously he was fighting extradition in the Netherlands, and his arrest sparked speculation that he may have struck a deal with prosecutors. Andrus Nomm, 36, was arrested Monday in Alexandria, Va., AP reported, citing court documents. He came to the US after more than two years of fighting extradition in the Netherlands. Nomm is the first of seven people accused by the US justice of infringing copyright through Megaupload, a now-defunct online service founded by German-born businessman Kim Dotcom. Four of the accused, including the file-sharing mogul himself, are currently in New Zealand fighting extradition requests from the US, the New Zealand Herald reported. Two others are living in Slovakia and in Germany, respectively, where both are safe from being handed over to the US. Nomm was arrested after a US request in 2012 in the Netherlands, but was released on bail and lived in Rotterdam since then, Dotcom's lawyer Ira Rothken told the Herald. His appearance in US custody was “unexpected” and probably indicates that he had struck some kind of plea bargain with American prosecutors, Rothken said. "Given he didn't have any more resources, it was expected the US would take advantage. This is to be expected where the US Department of Justice, in an experimental case, is trying to get folks scared and to testify in certain ways,” he said. 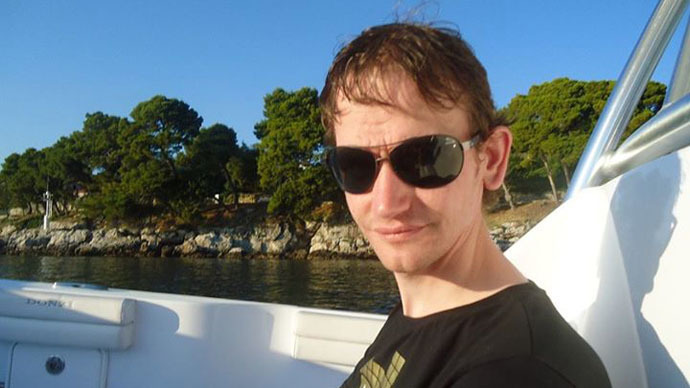 The lawyer added that Nomm, a programmer of Estonian origin involved in developing Megaupload from 2006 up to its shutdown in 2012, had problems finding a job in the Netherlands. Rothken added that if Nomm testified truthfully “it would be of no benefit to the US." The FBI’s indictment of Nomm claims that he received $100,000 for his work at Megaupload in 2010. It also accuses him of watching at least one copy of a pirated TV show. Dotcom is currently fighting a myriad of Megaupload-related cases, and is trying to have his frozen assets released by New Zealand and to defeat a US extradition request. His next hearing is scheduled for June 2015.